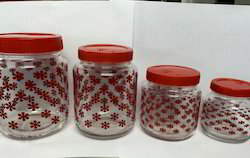 Pioneers in the industry, we offer glass jar, 500 grams glass jar, 1 kg glass jar and clear glass jar from India. Our offered Glass Jar (Glass Kitchenware) is one of our innovative products that serves the purpose of storage and can be used as a decorative item. The varied sizes and unique designs enhance the look of the entire place where it is kept. Moreover, these are available in multiple sizes and similar designs in case required to ensure that it goes well in one's kitchen without any mismatch. 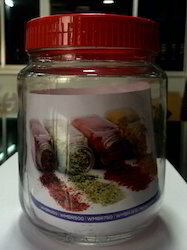 Our offered 500 Grams Glass Jar are attractive, inexpensive, and a practical way to house and display your product. Their naturally large opening make the filling and dispensing a snap, while the glass construction keeps contents fresh and increases the product's perceived value. Our offered Glass Jar that comes in plain as well as multiple designs and sizes to suit our clientele requirements. The glass is clear and allows one to identify the items inside easily. The cover ensures that the goodness of the product is intact for a longer period of time. 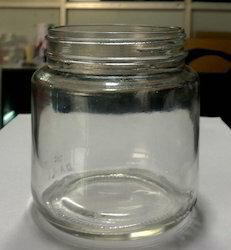 Our offered 1 Kg Glass Jar made to keep food hygienic and tasty for a lot of time. The best thing about these jars is that they can be washed and reused for years. 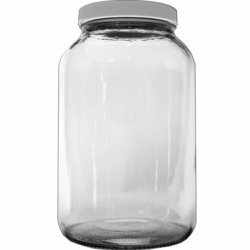 We are involved in offering an excellent quality range of Clear Glass Jar in the market. Our range of this product is highly demanded among the clients.